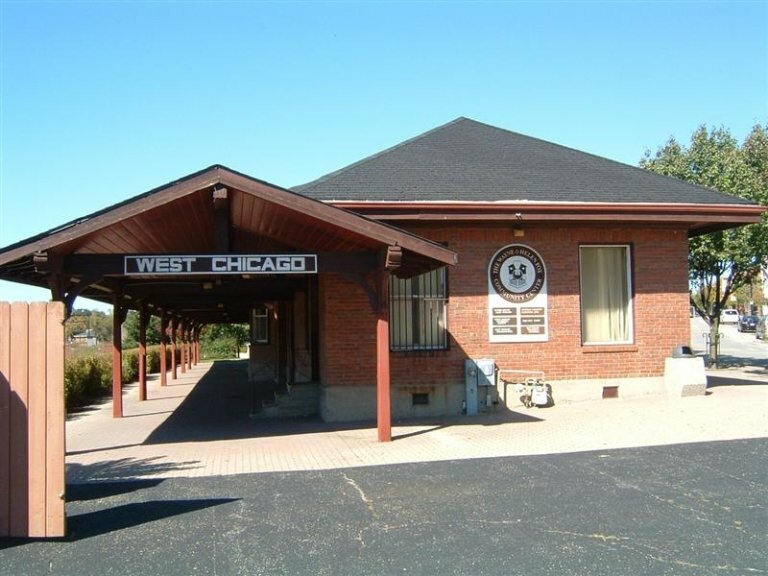 Built in 1910, the West Chicago Community Center’s rich history dates back to the days of locomotives and coal driven engines; even shouts of, “All Aboard” from the train conductors. The original ticket booth, still untouched after all these years, can be seen at the core of this former station, including the original bars protecting the windows. At the South Western corner of the center can be seen the outline of the coal shoots that would provide heat to the building. The back of the building hosts the original window with the original bars preserving the window and capturing a little piece of history. Also known as the Wayne & Helen Fox Community Center in honor of Wayne & Helen Fox; this facility offers to residents rooms to host family functions and business meetings. The former president of the local bank in West Chicago during the 1970’s, Wayne Fox endowed the center to preserve its rich history but to also be an asset to the residents. 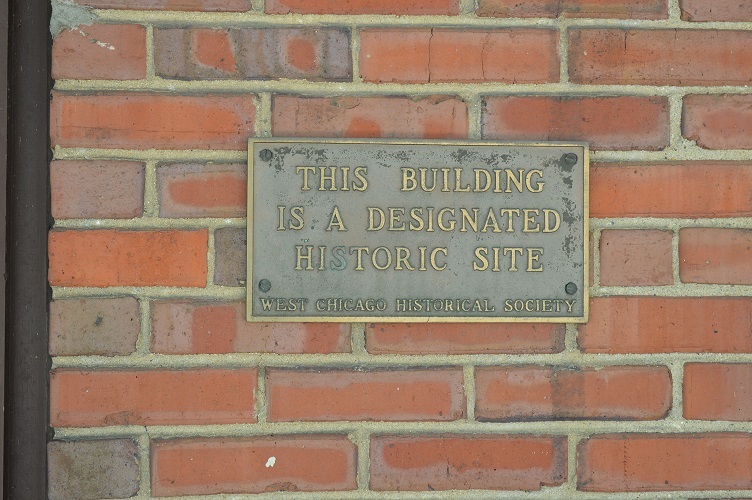 In addition, to preserve other buildings like the center; the Wiant House here in West Chicago was undertaken with complete success and continuing his vision. Being endowed with funds through the late Wayne & Helen Fox to preserve the West Chicago Community Center and others like it, our board of directors are committed in being good stewards of these funds. We accomplish this through board meetings, preservation projects, and monitoring operating expenses. Lending affirmation to our city’s motto, “Where History & Progress Meet”; our board of directors saw fit to preserve and restore this majestic building, built 146 years ago. Joel Wiant established his home in 1860 when West Chicago was better known as Turner Junction and constructed close to the bustling downtown district. Our sign posted out front now proudly displayed, “Saved” with a completely restored first floor, ideal for a small business. The second floor, newly remodeled and updated, lends itself for a personal residence. These two combinations are ideal for those individuals who wish to keep their commute to work a short one. Special thanks to Pastor Dean Klapatch for producing this outstanding video of the Wiant House. 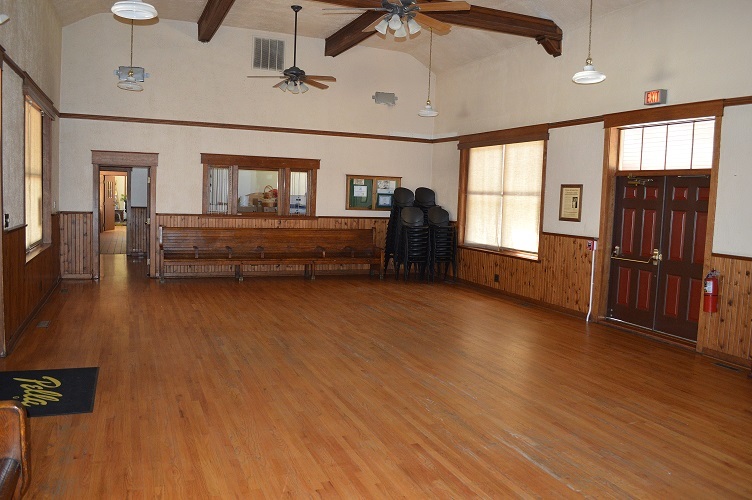 The West Chicago Community Center located at 306 Main Street in downtown West Chicago offers rental spaces to the community for private and or business functions. Formerly the central hub to commuting to downtown Chicago or local suburban communities; this former train station offers more than just rich history. A large main room greets guests with hardwood floors, adjustable ceiling fans, central air, and seating for up to 75 people. 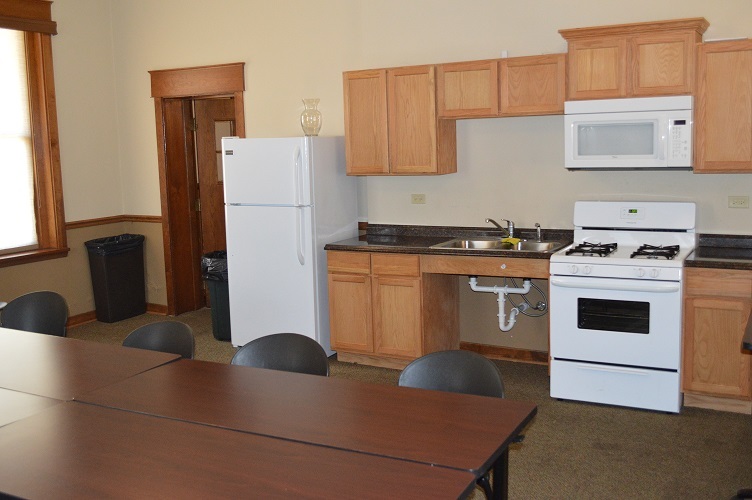 Adjacent to the main room is a newly renovated kitchenette perfect for training seminars, small to medium business meetings, or including into your main room rental for preparing meals for guests. If you are interested in scheduling a time to preview the West Chicago Community Center please contact the Western DuPage Chamber of Commerce office at 630-231-3003. Please click here to review our rental agreement and pricing structure. For any further inquiries and or specific scheduling questions; please contact the Western DuPage Chamber of Commerce office.